Got a question for Newmarket? 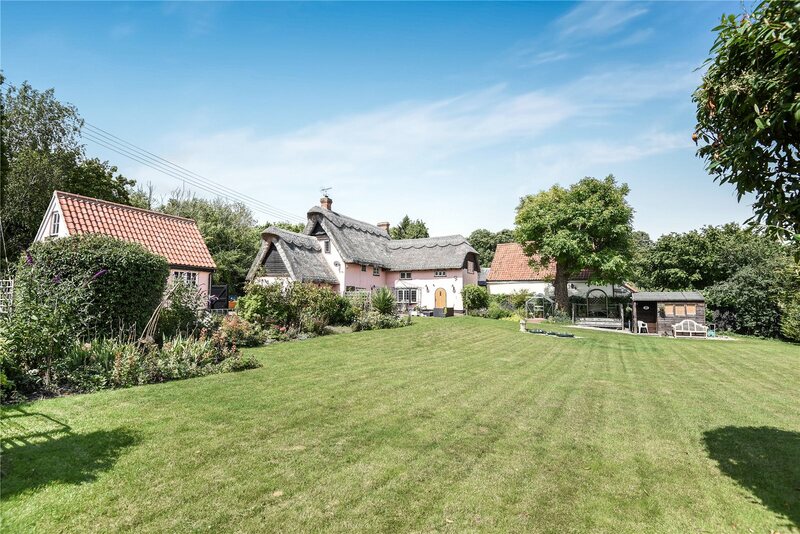 A superb Grade II Listed thatched house set in the sought after hamlet of Upend with an attractive established garden and useful outbuildings. 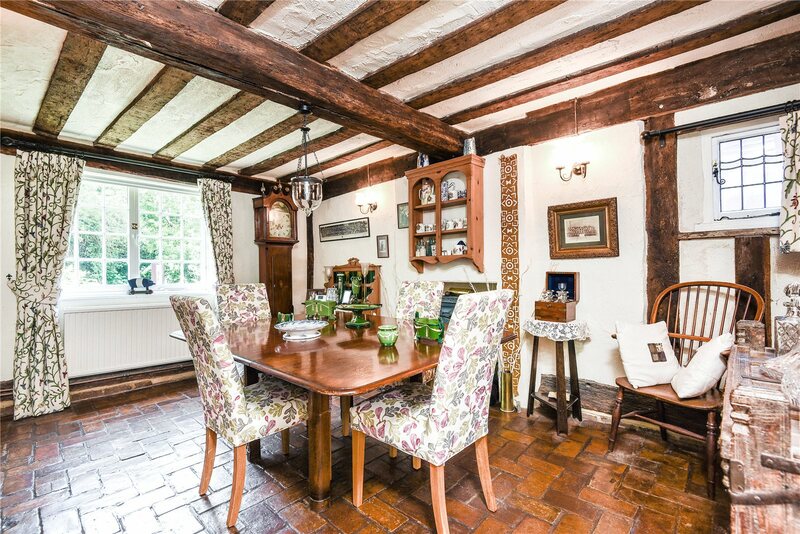 Entrance Hall, Sitting Room, Dining Room, Family Room, Kitchen/Breakfast Room, Utility Room, Shower Room, Cloakroom. 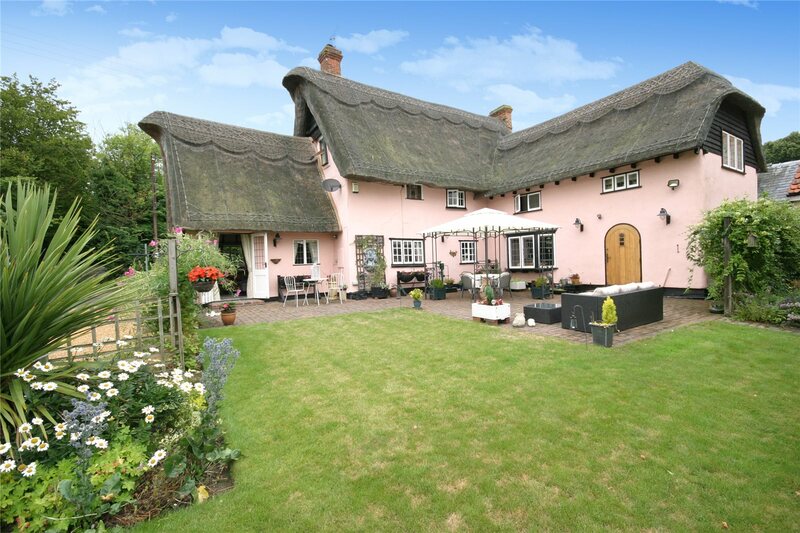 Landing, Four Bedrooms, Dressing Room/Bedroom 5 and Shower Room. 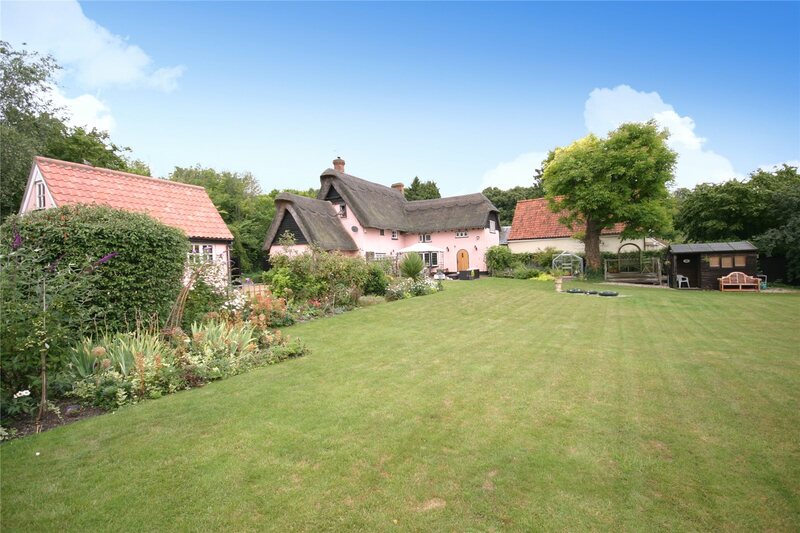 Driveway and Parking, Detached Workshop, Studio, Garden Stores and Large Garden. 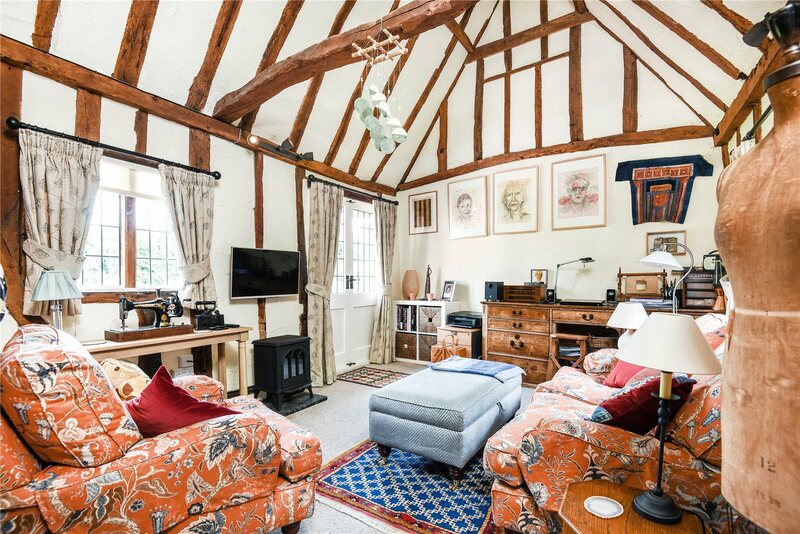 The Property Oak Gates is a delightful Grade II Listed property in the sought after hamlet of Upend with an established garden, workshop, studio and garden stores. 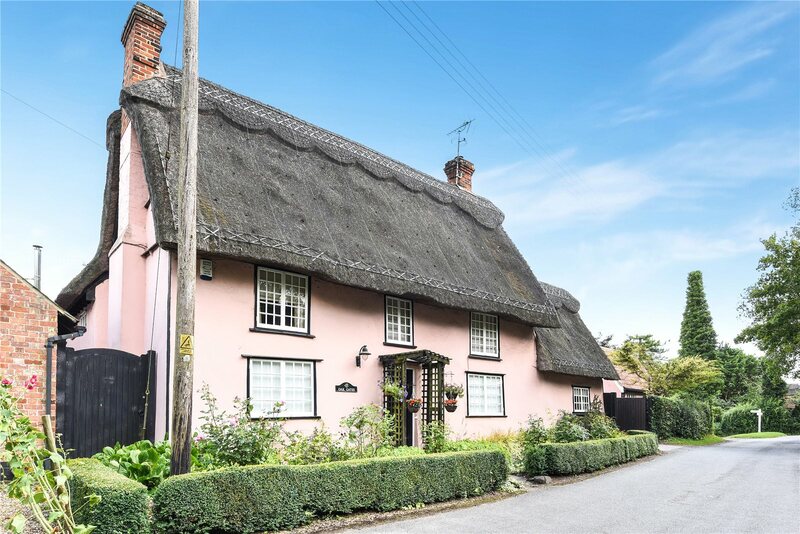 Dating back to the late 17th Century, this attractive Grade II Listed timber framed and plastered house has colourwashed elevations under a thatched roof. 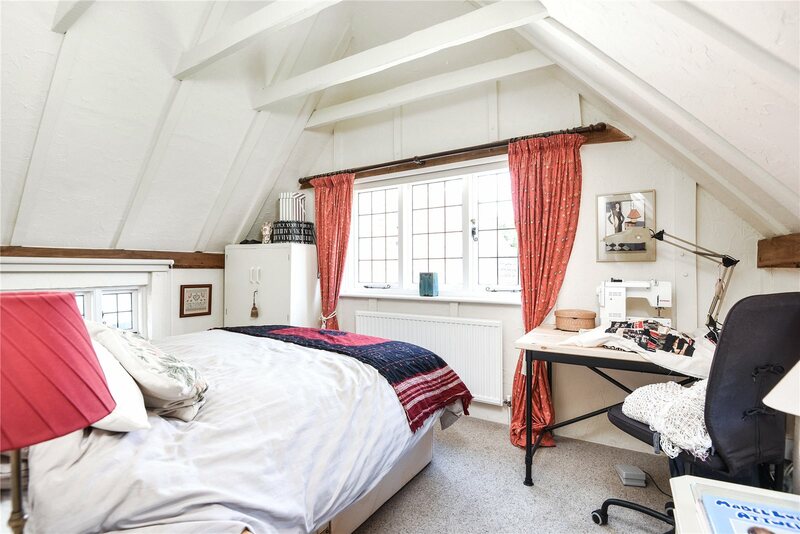 The property boasts charming period features including an inglenook fireplace, exposed brick floors and timbers, with oil fired central heating and private drainage. 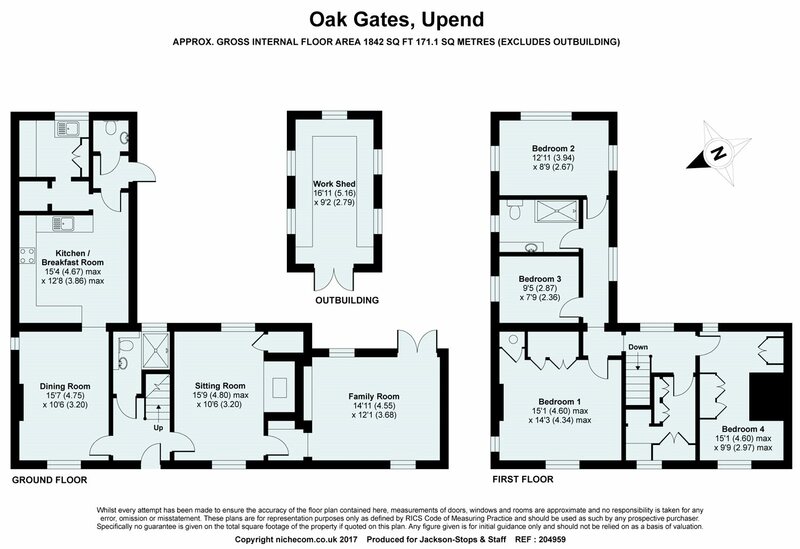 The spacious accommodation incorporates a welcoming entrance hall with exposed timbers, brick floor and stairs to the first floor, sitting room, dining room, family room, kitchen/breakfast room, utility room, shower room, cloakroom, landing, four bedrooms, dressing room/bedroom 5 and shower room. 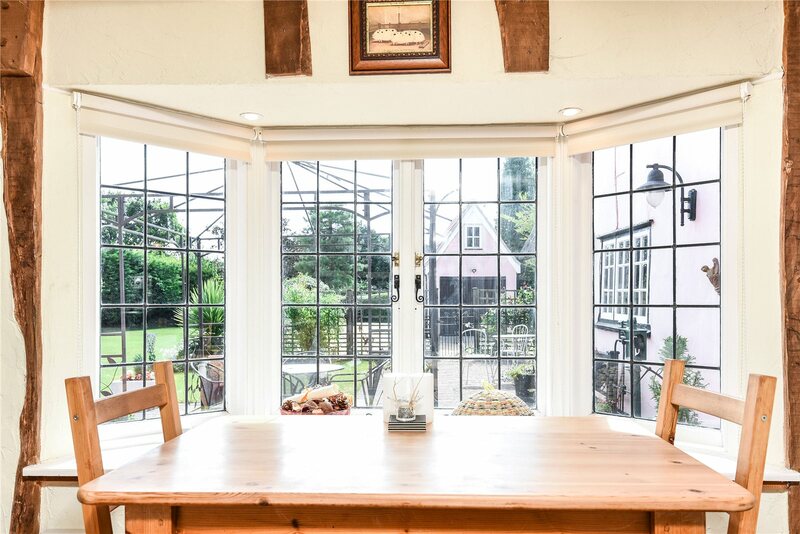 The double aspect vaulted family room has windows to the front and rear, part glazed French doors to the garden, exposed timbers and fitted shelves. 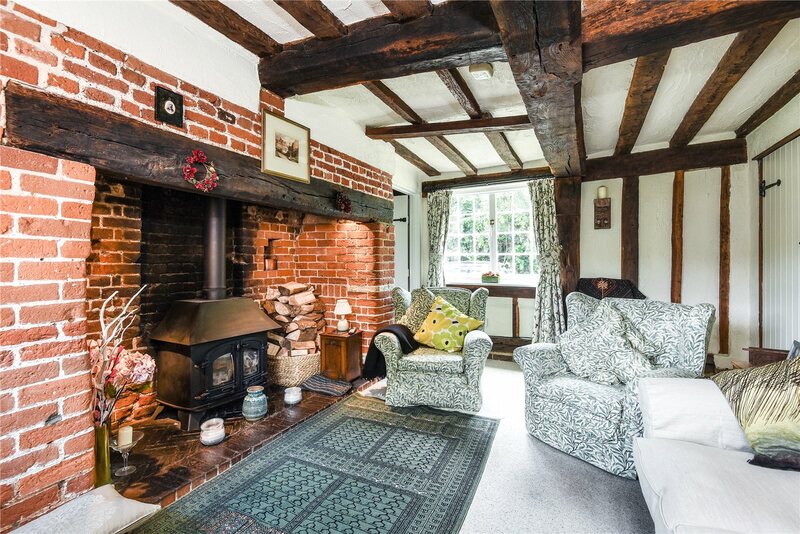 The charming double aspect sitting room has windows to the front and rear, inglenook fireplace housing a wood burning stove, exposed timbers and built-in cupboard. The well finished shower room is located off the entrance hall. The spacious dining room has a window to the front, open studwork to the kitchen/breakfast room, exposed timbers and brick floor. The kitchen/breakfast room has a bay window to the side overlooking the garden, base and eye level units, granite worktops with upstands, one and a half bowl sink with drainer, integrated appliances including four ring induction hob and oven with extractor hood, combination microwave, dishwasher and American style fridge/freezer, exposed timbers and brick floor and recessed ceiling downlights. The side hall has an exposed brick floor and door to the garden. The useful utility room has space and plumbing for a washing machine and tumble dryer, oil fired boiler and stainless steel sink with drainer. The cloakroom is located off the inner hall. 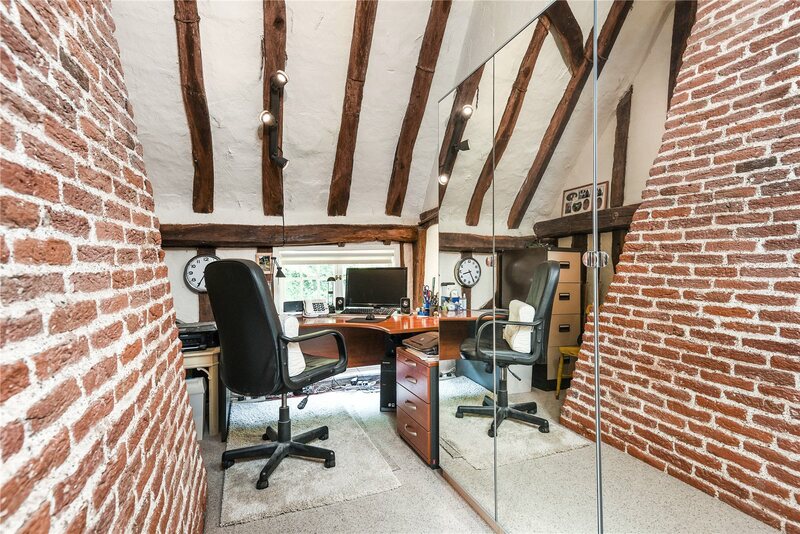 The landing has two windows to the rear overlooking the garden and exposed timbers. 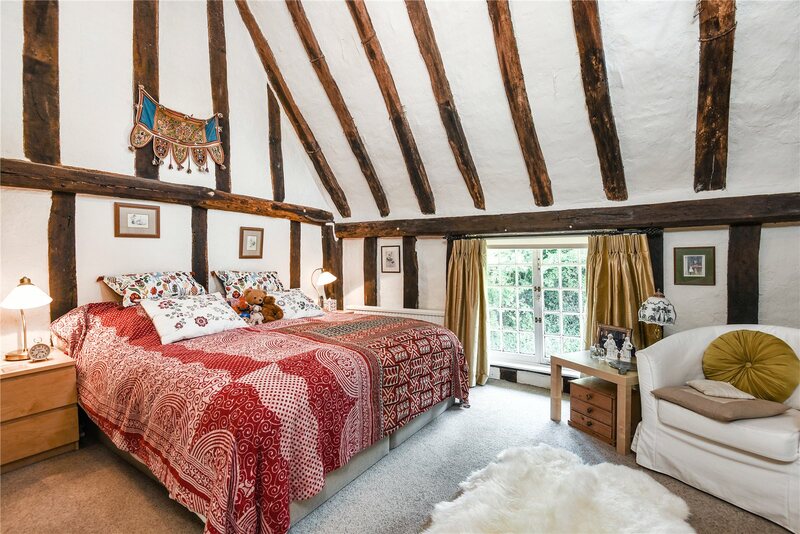 The superb vaulted Bedroom 1 has a window to the front and side, sealed fireplace, exposed timbers and built-in airing cupboard. There are three further bedrooms and a dressing room/bedroom 5. 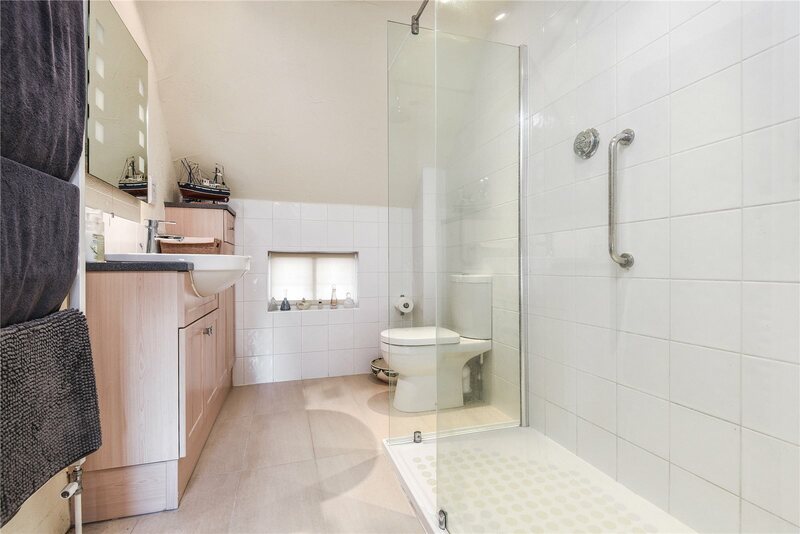 The spacious shower room has a large walk-in shower, wash basin with vanity unit, wc, shaver point, extractor fan, tiled floor and access to the roof space. Outside Oak Gates has a pair of electric gates to the side leading to a private gravel driveway providing parking for several vehicles and access to the detached workshop, which has a pair of wooden doors to the front, range of units and worktops, inspection pit, power and light. The front of the property has box hedging, shrub beds and outside lighting. A wooden pedestrian gate to the side provides access to the garden. 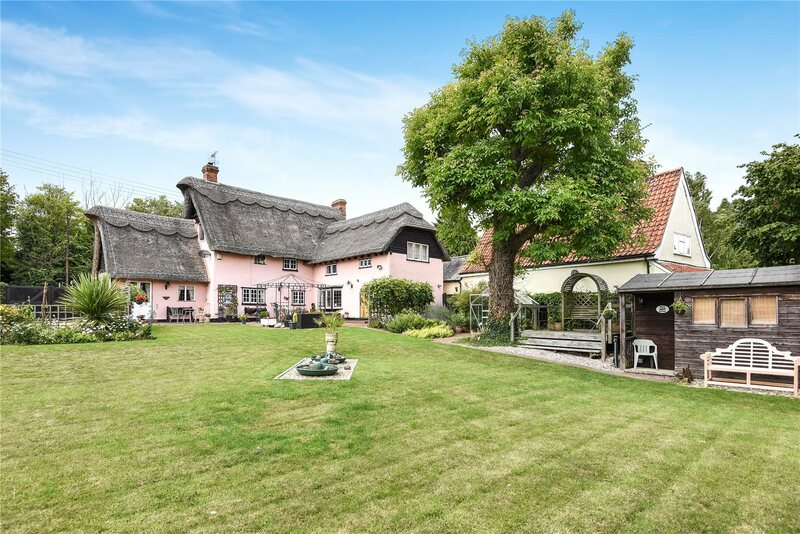 The attractive established garden enjoys a high degree of privacy and is enclosed by hedging and close boarded wooden fencing and mainly laid to lawn with well stocked flower and shrub beds and brick paved paths. A large paved terrace ideal for entertaining adjoins the house where there is sensored lighting. A useful insulated studio is positioned in the garden, with power and light. There are also a number of garden stores including a machinery store and wood shed.